I tested the free demo online at the Rosetta Stone site. The demo seems to brag that there are no written translations, you learn from looking at pictures only. The first lesson for Spanish shows pictures of a woman (una mujer) and man (un hombre). By clicking the pictures you learn the words woman and man. The next lesson shows a boy (un nino) or girl (una nina). So now you have learned words for boy, girl, man and woman. The next pictures are of people drinking and eating. You learn all of this from pictures only they are no written translations. This is where I reasoned a few questions. Who is this woman? (in the picture) What is her name? Where is she from? What kind of pictures can they make to teach me the words who, what, where, her and name? Also what do the words is, this, and from look like? I had to use Google translate to find that (una) and (un) are the word “a” in Spanish. I urge you to take the free Rosetta Stone demo online BEFORE you purchase it. Enough said. A friend told me about a new site. Their philosophy seemed sound so I signed up and tried their 2 free lessons. The site has seventy-six lessons of twenty words each. The first lesson had the words: who, what, where, when, why and how among others. These are helpful one-word questions. I clicked the words to hear a native speaker say them. What surprised me is the English word was first next to it the word was spelled phonetically in English then I saw the native text. I listened and studied for a while then went on to try their memory test game. A multiple-choice word game challenges you to match the question word to eight other choices. This was an excellent way to remember the words. Repetition is how we remember. The site also has a grammar section that explains how to use the words and there is a page to practice spelling. For people who already know some words there is a user lesson page. You can make up lessons of the words you want to learn. The site has some great tools. The most impressive feature is the organization of the words you learn. Learning the most common words first is a feature no other language method has. The only down side to the site is they teach only Mandarin Chinese, Spanish and Thai. They claim more languages will be added soon. You decide if it all makes sense. Click here to sign up for their free trial. Have you tried any of these or other methods? If so please feel free to comment on them and leave your opinions in the comments below. This entry was posted in Games & Software, How To Learn A Language, Learning Chinese, Learning Spanish, Learning Thai and tagged language learning, PIMSLEUR, reviews, ROCKET CHINESE, rosetta stone, TRANSPARENT LANGUAGE. Bookmark the permalink. I visited Madagascar last September. I visited an improverished university where the students desperately wanted to learn English but the school was too poor to keep an English teacher on staff. Some of the students struggle to speak just enough English to make themselves understood. They currently speak a native language and French. Will you please help me help them. I got one of the students a laptop. I have looked at Rosetta and Pimsleur but was not convinced. Please, please help me figure out what to do next. I really want to help these kids. 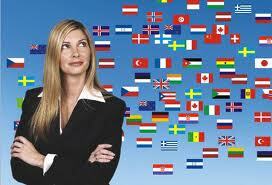 I have used all lessons of Pimsleur Spanish and I was speaking and understanding basic Spanish very fast. It does have reading lessons in the paid version though I really haven’t used them. I needed a program I could use on my commute to work and this program was great for that. I treat Spanish speaking patients now and find we can communicate very well after just studying this approach for a few months. I am currently trying Rosetta Stone to expand my vocabulary but don’t find it as helpful as Pimsleur was.